Do you have sensitive skin? Those that have sensitive skin tend to feel like they’re stuck in a constant state of struggle with their skin’s sensitivities. But the truth is, you don’t need to feel that way. There are certain steps you can (and should) take to really help your sensitive skin not have as many outbreaks. Since we know skin sensitivities is a growing struggle with so many people, we wanted to make it a point to share some of the best tips for protecting your sensitive skin. When people hear experts talking about being gentle on their skin, they often tend to think of JUST using gentle products. While that is an important factor in your skin care routine, you also need to be gentle on your skin in other ways as well. Not sure what we mean? It’s important to make sure that you don’t get into the habit of over-exfoliating or cleansing the skin, especially when you have sensitive skin. Cleansing and exfoliating are crucial steps in anyone’s skin care routine, but when done too often and too harshly both steps can wreak havoc on the skin, causing the sensitivities to become even worse. Make sure that you’re using lukewarm water when cleansing, and rinsing exfoliating products off the skin. Take your time with the process; don’t be too rough or harsh on your skin when actually going about the steps. 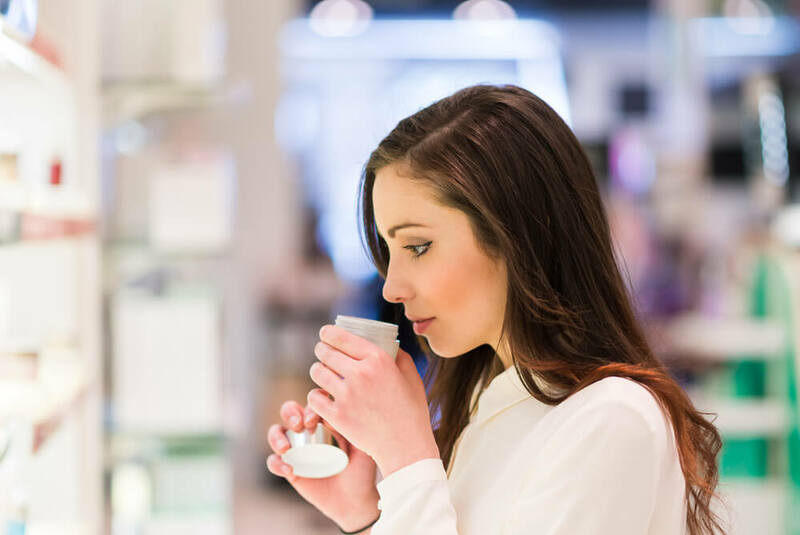 It’s always fun and exciting to try out new beauty products, but when you have sensitive skin, trying a new product can cause some major skin irritation. To really protect your skin and not have any major outbreaks, it’s really important to ensure that you’re testing any new products before actually going full throttle on using them. Testing new products gives you an opportunity to make sure that your skin isn’t going to be sensitive to them and have any negative side effects. The best places to test products are just behind the ear or the inside of the elbow area. All you need to do is apply a bit of the product(s) to one or both areas and let it sit on the skin for a few minutes. If you see your skin reacting negatively, it’s a big indication that the product isn’t the best one for you. When we think of taking care of our skin, we often just think of what products we apply on our skin. However, our skin is highly impacted by our inner health – especially when you have skin sensitivities. It’s important to make sure that you’re maintaining a healthy, well-balanced diet for your inner health – it’s been found to really do wonders for those with sensitive skin. In addition, make sure that you’re drinking enough water and eliminating as many processed foods and beverages as possible. Giving your skin the proper nutrients will help keep it healthy and protect the sensitivity.